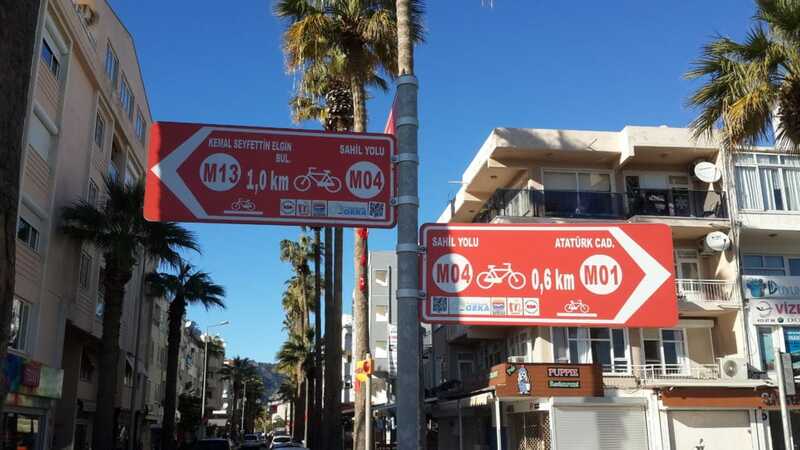 As I sit at the waterfront this morning, where all the restaurants and cafes are lined along the promenade in Marmaris today, I realize just how lucky we are to have such magnificent weather during the first week of February (2014). The sun is out with only a few light clouds in the sky, the fisherman have set up shop as they wait for their daily catch of fresh fish of the day. With only a sweater and a pair of jeans on, the morning sun offers such a refreshing start to the day. Mind you I am sitting at a table shaded by an umbrella – the direct sun is quite hot (not complaining of course). By the closing of the evening just before the sun begins to set it will start to get a bit chilly. From 17 Celcius, the temperature will drop to 11. I still say that it isn’t cold and must appreciate. Whereas in other parts of the globe drastic climate temperatures – even with the sun shinning – offers a cold winter. We are very fortunate. It is known that the season for boat charter in Turkey is from mid April to late October, However it is possible to hire a crewed boat charter in January and February. The way to insure a good time to book during these months is to just wait from the week or two before, catch the weather forecast for the weeks ahead to make double sure that the weather will be in your favor, and then make a decision for a private gulet cruise in the Eastern Mediterranean. Will there be boats available during this time of year? Yes there would. Not many boats may be in the water. However there are Turkish gulets which have not to been shored in the marinas and shipyards. Getting a crew together is also possible since they are local residents who serve on board these gulets. 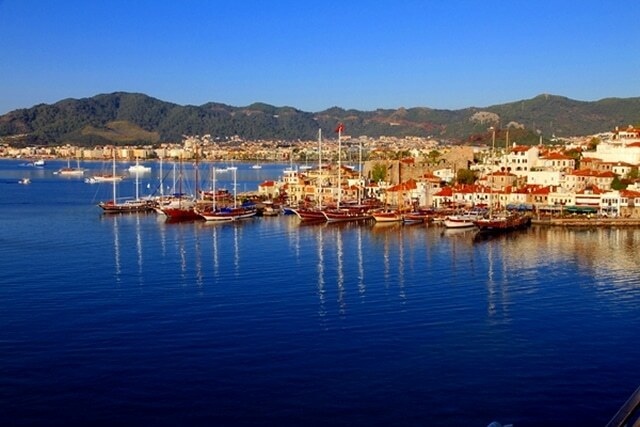 For a winter time private gulet cruise, you would treat your blue voyage like a cruise only. The destinations remain the same as do the places of interest to visit – just like the Spring and Summer. Keeping warm is also possible since the air conditioners on board gulets operate to cool and heat the cabins. I wouldn’t mind enjoying a hearty Mediterranean breakfast on the forward deck overlooking some of the amazing scenery in this region; as well as the sounds of peace and quiet. A picnic for lunch sounds like a good idea at any one of the stunning private bays or small coves with a good read. Or I could do nothing at all. I could end my day with a fantastic BBQ on board and good company. After dinner retiring to my cabin with a good movie on satellite – to repeat this all again, in a different location sounds like a splendid plan. 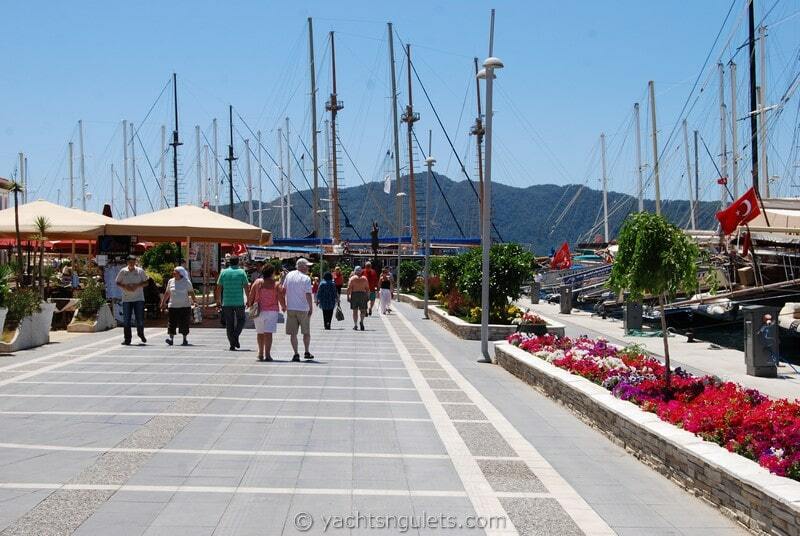 Yes it’s a mild Mediterranean winter in Marmaris and certainly a great day to embark on a private gulet cruise get-a-way.